I took a trip to France during Spring Break. On the last day right before leaving the house to go to the airport, this car was across the street. 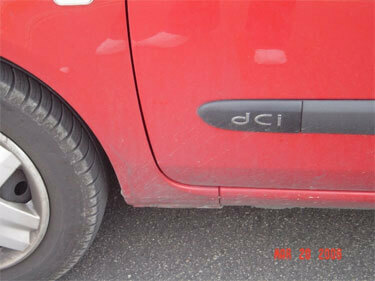 Seeing "dci" on the side of the car got me to think that the summer is almost here. Very exciting! I can't wait! Thanks Stephanie! We're running out of Forzatos! E-mail your best drum corps shots to forzato@dci.org along with where and when the photo was taken. Send some biographical information about yourself as well. We'll give you full credit.